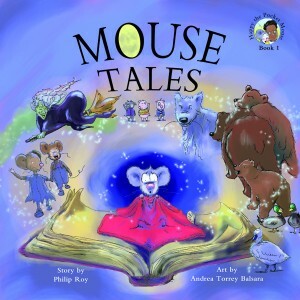 Mouse Tales, (Book 1 in the Happy the Pocket Mouse series), Ronsdale Press, Vancouver, 2013. ISBN: 978-1-55380-262-4. 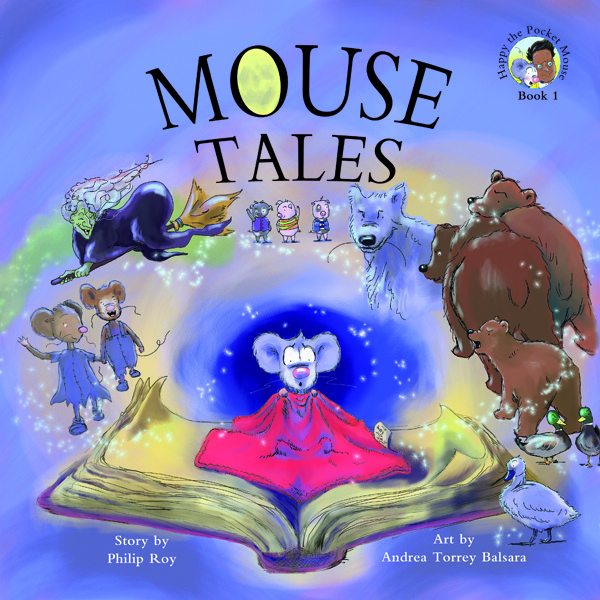 To order signed copies of Mouse Tales, (Book 1 in the Happy the Pocket Mouse series), please e-mail us directly at leilamerl28@gmail.com, or visit etsy.com/shop/philiproybooks and be sure to let us know about your specific request. For other purchasing options, please see the section at the bottom of this web page. 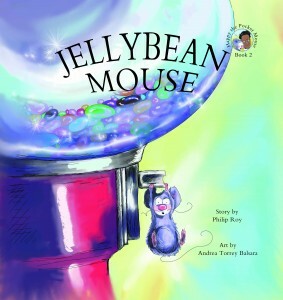 Jellybean Mouse, (Book 2 in the Happy the Pocket Mouse series), Ronsdale Press, Vancouver, 2014. ISBN: 978-1-55380-344-7. 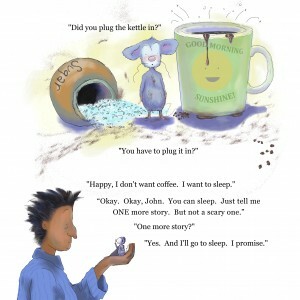 To order signed copies of Jellybean Mouse, (Book 2 in the Happy the Pocket Mouse series), please e-mail us directly at leilamerl28@gmail.com, or visit etsy.com/shop/philiproybooks and be sure to let us know about your specific request. For other purchasing options, please see the section at the bottom of this web page. 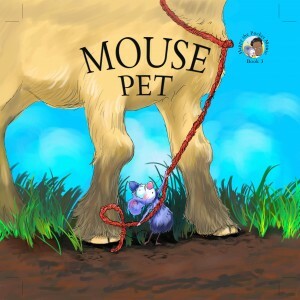 Mouse Pet, (Book 3 in the Happy the Pocket Mouse series), Ronsdale Press, Vancouver, 2015. ISBN: 978-1-55380-443-7. *Selected for Best Books for Kids & Teens by the Canadian Children’s Book Centre. 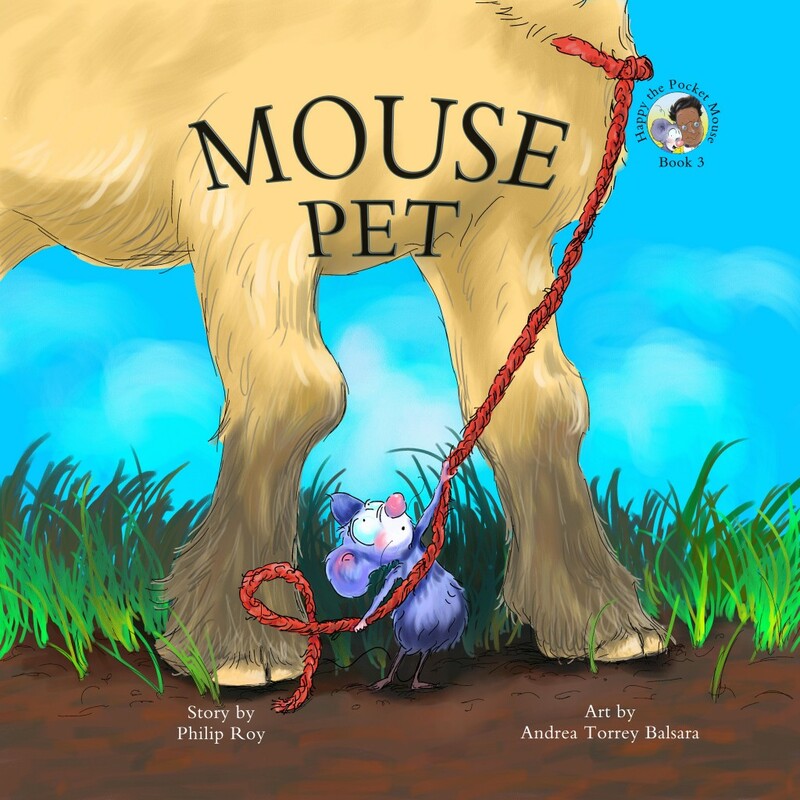 To order signed copies of Mouse Pet, (Book 3 in the Happy the Pocket Mouse series), please e-mail us directly at leilamerl28@gmail.com, or visit etsy.com/shop/philiproybooks and be sure to let us know about your specific request. For other purchasing options, please see the section at the bottom of this web page. 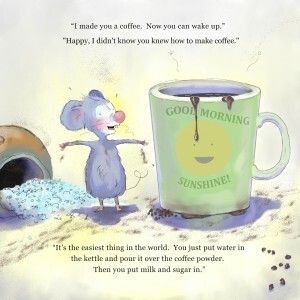 Mouse Vacation, (Book 4 in the Happy the Pocket Mouse series), Ronsdale Press, Vancouver, 2016. ISBN: 978-155380-479-6. 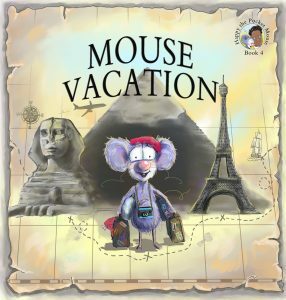 To order signed copies of Mouse Vacation, (Book 4 in the Happy the Pocket Mouse series), please e-mail us directly at leilamerl28@gmail.com, or visit etsy.com/shop/philiproybooks and be sure to let us know about your specific request. For other purchasing options, please see the section at the bottom of this web page. Les contes de Youpi, (French trans. of Mouse Tales, Book 1 in the Youpi, la souris dans ma poche series), Ronsdale Press, Vancouver, 2018. ISBN: 978-155380-529-8. 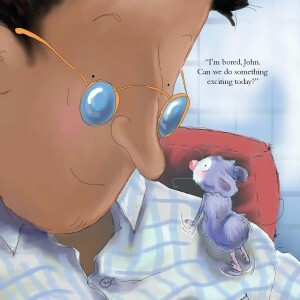 Les contes de Youpi is the translation into French of the beloved children’s book, Mouse Tales. 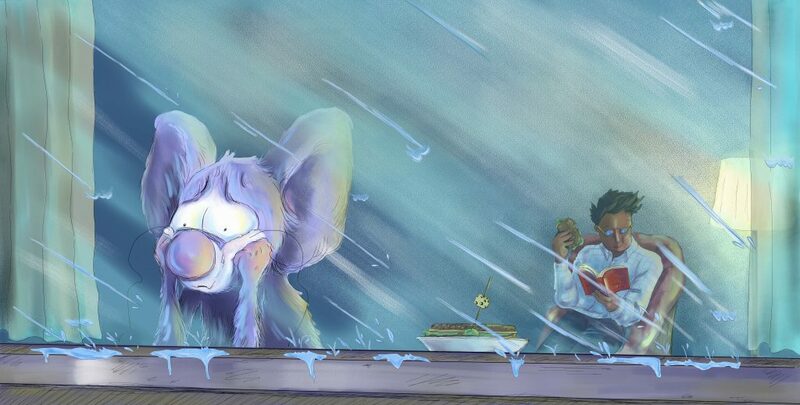 The first volume in the “Happy the Pocket Mouse” series has been read to thousands of students across Canada, and has gathered a substantial following. Here, now, French speakers and those learning French will be able to enjoy this endearing story, alongside the wonderfully vibrant illustrations of Andrea Torrey Balsara. Readers of all ages will identify with Youpi’s bedtime struggle after a long day, his request for a story to help him fall asleep, and his nighttime anxieties when he must come to grips with the wicked witch of Grimms’ Hansel and Gretel, the Big Bad Wolf, and his own imagined “Three Bears.” Readers will be won over by the insatiably curious and determined little mouse, and his kind and endlessly patient friend, Jean. Les contes de Youpi proves that best friends come in all sizes, and guarantees a giggle. To order signed copies of Les contes de Youpi, (Book 1 in the Youpi, la souris dans ma poche series), please e-mail us directly at leilamerl28@gmail.com, or visit etsy.com/shop/philiproybooks and be sure to let us know about your specific request. For other purchasing options, please see the section at the bottom of this web page. Youpi et ses bonbons, (French trans. 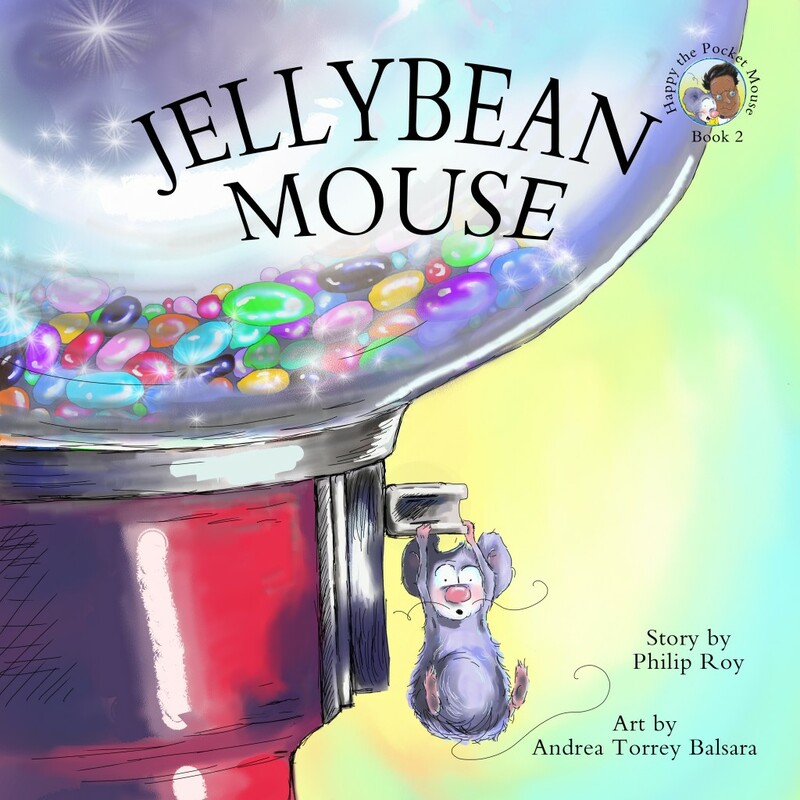 of Jellybean Mouse, Book 2 in the Youpi, la souris dans ma poche series), Ronsdale Press, Vancouver, 2018. ISBN: 978-155380-540-3. 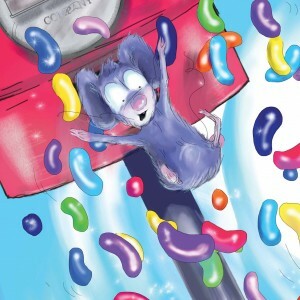 Youpi et ses bonbons is the translation into French of the magically delicious children’s book, Jellybean Mouse, the second book in the Happy the Pocket Mouse series. 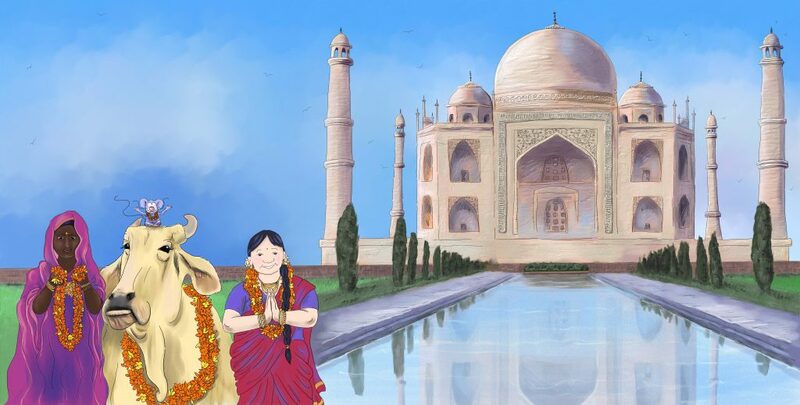 French speakers and those learning French will revel in this heartwarming story, alongside the incredibly rich and vibrant illustrations of Andrea Torrey Balsara. When a “boring” trip to the laundromat to wash their clothes frustrates Youpi’s insatiable appetite for adventure, (and neither the skating rink nor the bowling alley can entice Jean away from their mundane task), Youpi arrives at the laundromat in a funk, only to come face-to-face with his first jellybean machine. Thrilled with the discovery, Youpi is confounded for a second time when Jean explains that he has only enough quarters for the wash. Refusing to give up, Youpi makes a careful reconnaissance beneath the washing machines until he finds a quarter of his own. But the stingy machine conspires against the treasure-seeking mouse, steals his quarter, and refuses to release its jellybeans. Unwilling to accept defeat, Youpi convinces Jean to tilt the machine until its sweet treasure spills out in abundance. 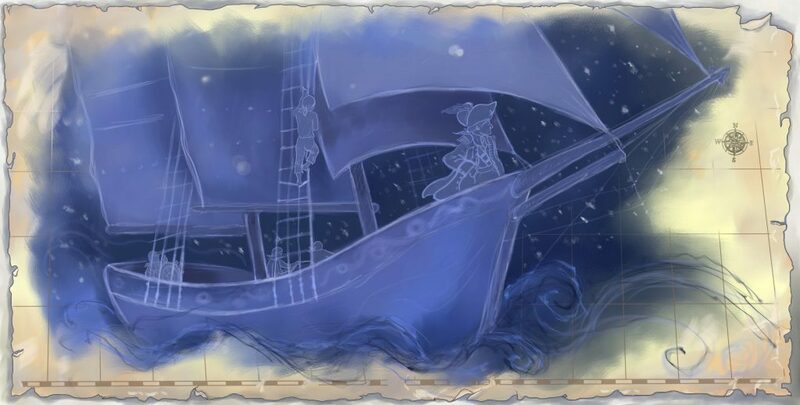 No adventure is too small for a mouse with a prodigious appetite! 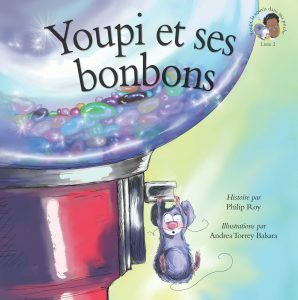 To order signed copies of Youpi et ses bonbons, (Book 2 in the Youpi, la souris dans ma poche series), please e-mail us directly at leilamerl28@gmail.com, or visit etsy.com/shop/philiproybooks and be sure to let us know about your specific request. For other purchasing options, please see the section at the bottom of this web page. *A Happy Halloween, (Book 5 in the Happy the Pocket Mouse Series, Ronsdale Press.) Due out in the fall of 2020. 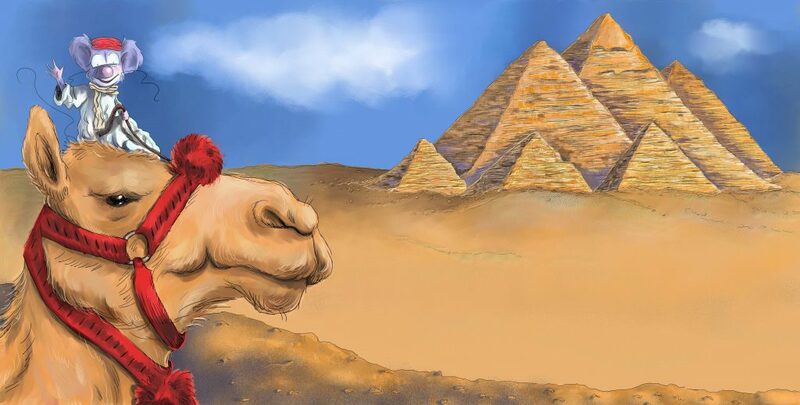 If you would like signed copies of Philip’s books, (or you would simply like to order books directly through us), please e-mail Leila at leilamerl28@gmail.com or visit etsy.com/shop/philiproybooks, and be sure to let us know for whom you would like to have your book(s) inscribed. Philip’s books can also be purchased through Chapters/Indigo, Coles, chapters.indigo.ca, amazon.ca, amazon.com, amazon.co.uk, BN.com, The Book Depository.com, and Waterstones.com. 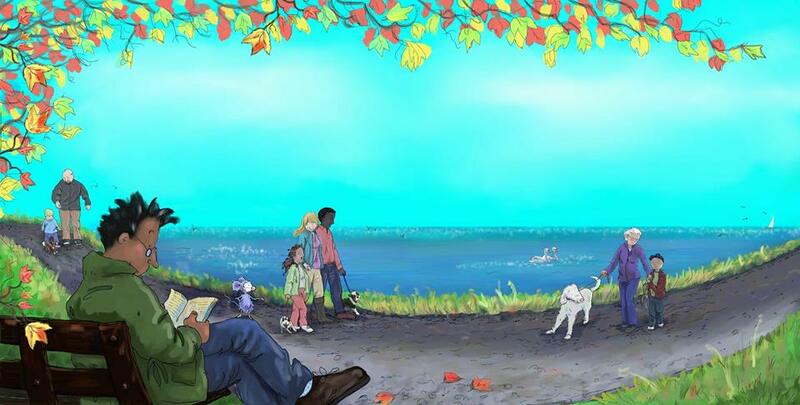 You can also find Philip’s books at fine independent bookstores like Woozles, Tattletales, Westminster Books, The Village Bookshop and the Wellfleet Booksmith at the Wellfleet Marketplace. Our books can also always be ordered in at your local bookstore if they are not already on the shelves. 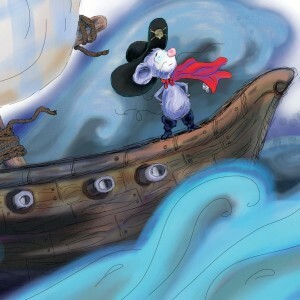 Last but not least, Philip’s Happy the Pocket Mouse picture books can also be ordered via his publisher at Ronsdale Press as well as through distributors including Raincoast Books, Library Bound (LBI), United Library Services (ULS), Whitehots, Tinlids, CanLitforKids, LitDistCo., Baker & Taylor, Ingram, and Small Press Distribution (SPD). If you are looking for a museum that carries the Happy the Pocket Mouse series, please be sure to visit The Antique Boat Museum. 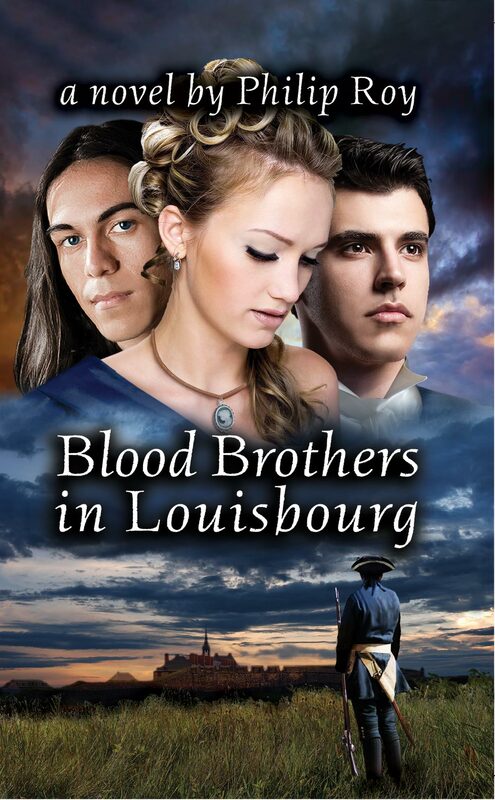 All of Philip’s books are printed in Canada on responsibly-sourced paper.